Join New Orleans & Houston Illini on Feb. 17 at the World War II Museum in New Orleans! 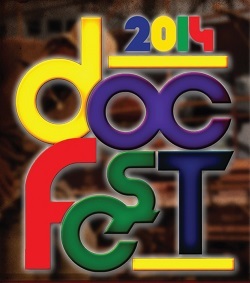 With your guests join with other Houston Illini on Saturday, Dec. 22 for DocFest 2018! Join Illini on Thurs, Dec 13 at 8 pm at Christian's Tailgate for Women's Volleyball Final Four! Join Houston Illini for Purdue vs. Illinois game watch! Bring your thinking caps to Little Woodrows in The Heights for "Geeks Who Drink" trivia! Join the team, grab a drink, and exercise your mind with some fellow Illini! Trivia starts at 7:30pm, so get there by 7:15pm to officially join the team! 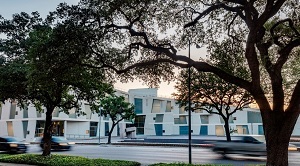 Join us for a night at the theater as the Houston Shakespeare Festival opens their 44th season with Shakespeare's gripping masterpiece, "Hamlet." Chicago White Sox vs. Houston Astros on 7/7! SORRY, THE CLUB'S ALLOCATED TICKETS ARE SOLD OUT! Calling all Houston Illini Club members who are Chicago White Sox or World Series winning Houston Astros fans! You and your guests are invited to purchase from the Club's limited remaining $72.5 Field Box II tickets for the Saturday, 7/7 game. 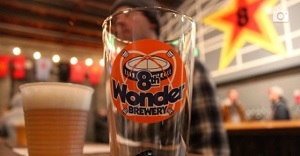 8th Wonder Brewery Hangout - with UIUC's Chancellor Jones! Join Houston-area Illini at our 8th Wonder Brewery hangout! Joining us will be Illinois' Chancellor Robert Jones and Vice Chancellor Barry Benson! 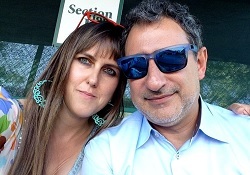 Club opera lovers, join Opening Night, April 6 for "An Italian Girl in Algiers"! Club’s opera lovers, join us on Opening Night, Friday, April 6 at 7:30 pm for Rossini’s opera “An Italian Girl in Algiers” with the University of Houston’s Moore School of Music! 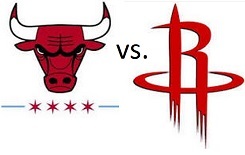 Tue, Mar 27 @ 7 pm Chicago Bulls vs. Houston Rockets game! For those of you who purchased Group Sales' tickets through the Houston Illini Club for the 3/27 Bulls vs. Rockets game, see below for updated instructions! 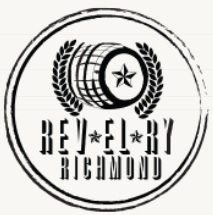 Join the Houston Illini on March 20th at Revelry on Richmond for Trivia Night! Join the Houston Illini on March 20th at 7:30 pm at Revelry on Richmond for Trivia Night! Join us Saturday, March 10 from 11:30am-1:30pm at the Karbach Brewery Biergarten! Join us Saturday, Jan. 27 from 11am-1pm at the Karbach Brewery Biergarten! Join us Saturday, January 27 from 11am-1pm at the Karbach Brewery Biergarten! On Thursday, January 11th at 6:30 PM we invite fellow Illini to a Meet and Greet at Uptown Park's Cafe Express at 1101 Uptown Park Blvd. This is your chance to casually meet fellow Illini and to help us identify great club activities. Join us Saturday, Jan. 6th at 11 AM at Jake's Sports Bar for Illinois' game watch vs. Michigan! Join us on Saturday, Jan 6th at 11 AM in Jake's Sports Bar for Illinois' basketball game watch vs. Michigan! Join fellow Illini Bob Morgan on Friday, 12/29/17 at 7:30 PM at HSPVA's Denney Theatre for the 4th Innaugural "DocFest", a reception/concert/jazz session celebrating the life and career of Dr. Robert Morgan, HSPVA Director of Jazz Studies, 1976-1999. Illini versus Northwestern Game Watch! 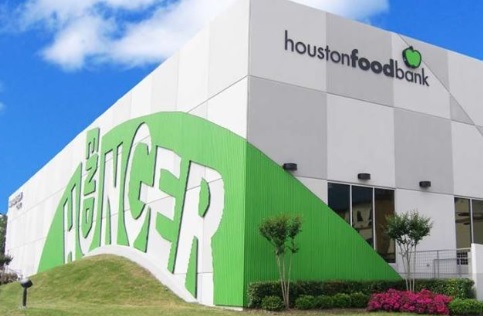 Join the Houston Illini and the Northwestern Alumni Club of Houston at The Americana, 2957 Bingle Road (new location from prior announcement) on Saturday, 11/25 at 3 PM for Illinois versus Northwestern football! Join Houston Illini for Illinois vs. Purdue game watch! Join the Houston Illini Club at Coaches Pub on Saturday, November 4th (time TBA)! Join University of Illinois' Davis Hendrickson at Yard House on Tuesday, 8/22 from 6-8 PM! Houston area rising Freshmen to UIUC invited to Barry’s Pizza! Houston area High School Seniors who have accepted their Fall 2017 admission to UIUC are invited to Barry’s Pizza (6003 Richmond Ave, Houston, TX 77057) to meet other Houston area rising Freshmen, and to interact with Illinois' alum. University of Illinois baseball in Corpus Christi versus University of Houston! 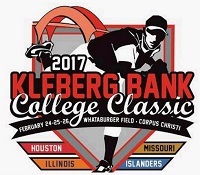 Join your fellow Illini on Saturday, 2/25 @ 2 PM at Corpus Christi's Whataburger Field as we watch the University of Illinois' baseball team take on the University of Houston Cougars! Join us for Golden State Warriors vs. Houston Rockets on 1/20 @ 7 PM! Houston Illini Club members and their guests, along with other Houston area BIG10 alum are invited on Friday, Jan. 20 at 7 PM as we watch the Golden State Warriors vs. Houston Rockets at the Toyota Center! Join us for the Illinois vs. Wisconsin game at the Badgers' Hangout of Beer Market Co on 920 Studemont. Join us for the Illinois vs. Michigan State game at the Spartan's' Hangout of Sage County at 2416 Brazos. Join us Wednesday, 11/2 @ 7 PM at Kenneally's for World Series Game 7! With your guests join fellow Illini Wednesday, 11/2 @ 7 PM. The Chicago Cubs will be playing the Cleveland Indians for game 7 of the World Series at Kenneally's Irish Pub! Join us Saturday (10/29) @ 7 PM at Kenneally's for World Series Game 4!! With your guests join fellow Illini Saturday (10/29) @ 7 pm. The Chicago Cubs will be playing the Cleveland Indians for game 4 of the World Series at Kenneally's Irish Pub! Join us today (10/26) @ 6 PM at Kenneally's for World Series Game 2!! Join us Saturday (10/22) @ 7 PM at Kenneally's for Chicago Cubs NLCS Game 6!! With your guests join fellow Illini Saturday, 10/22 at 7 pm. The Chicago Cubs will be playing the Los Angeles Dodgers for game 6 of the NLCS at Kenneally's Irish Pub! Join the Houston Illini for the Illinois versus Michigan game watch! Join the Houston Illini Club for a Illinois versus Michigan game watch at Down the Street in the Heights! Join us tonight (10/20) @ 7 PM at Kenneally's for Chicago Cubs NLCS Game 5!! With your guests join fellow Illini tonight, 10/20 at 7 pm. The Chicago Cubs will be playing the Los Angeles Dodgers for game 5 of the NLCS at Kenneally's Irish Pub! Join us tonight (SUNDAY, 10/16 @ 7 PM) at Kenneally's for Chicago Cubs NLCS Game 2!! With your guests join fellow Illini tonight, 10/16 at 7 pm. The Chicago Cubs will be playing the Los Angeles Dodgers for game 2 of the NLCS at Kenneally's Irish Pub! Illini Cubs Fans: Next Year Is Here! Join us Saturday at Kenneally's for Chicago Cubs NLCS baseball! Join fellow Illini this Saturday, 10/15 at 7 pm. The Chicago Cubs will be playing the Los Angeles Dodgers for game 1 of the NLCS at Kenneally's Irish Pub! Join us Saturday, 10/8 at 7 PM at Down the Street for Cubs vs. Mets in the NLDS! With your guests at 7:00 PM Saturday, Oct. 8th, come to Down The Street in the Heights (5746 Larkin St, Houston, TX) for game 2 of the Chicago Cubs vs. the San Francisco Giants in the NLDS! Join the Houston Illini Club at Coaches Pub on October 8th at 2:30 PM. Join Big Ten Alumni Sunday, 9/11 at Minute Maid Park for a rare Cubs vs. Astros game! Join Big Ten Alumni on Sunday, September 11th at 7:00 pm at Minute Maid Park for Chicago Cubs vs. Houston Astros baseball! SORRY, ALL TICKETS SOLD OUT! 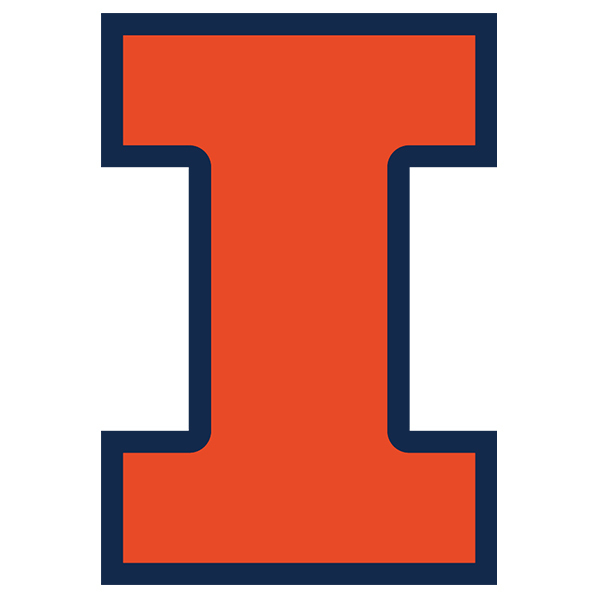 Bridget will give us a behind-the-scenes look at the University of Illinois Alumni Association’s Travel Office and an update on the University, the campus, and the State of Illinois. Join us for Bulls vs. Rockets on 3/31 @ 6 PM (w/ free pre-game Toyota Center access)! Only Houston Illini Club members and guests are invited Thursday, 3/31/16 at 6 PM as we watch the Chicago Bulls vs. Houston Rockets at the Toyota Center! Optional free pre-game front row access to watch both teams warm-up! Paintings and Drawings exhibition and meet Spanish Artist Carmen CPAM Kosmala! A very special event for University of Illinois’ alumni is planned on Monday, March 21st, 2016 at 6:30pm. Spanish Artist Carmen CPAM Kosmala (formerly Carmen Agudo) will share an evening of Spanish Art and French wine. On Thursday, February 25th at 6:30 PM we invite fellow Illini to a Meet and Greet at Uptown Park's Cafe Express at 1101 Uptown Park Blvd. This is your chance to casually meet fellow Illini and to help us identify great club activities. Illinois' Baseball at New Orleans' Tulane University! 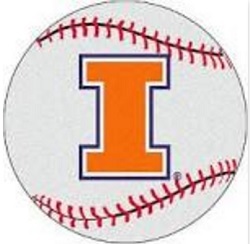 Join Houston Illini Dan Checkman along with members from the New Orleans Illini Club to watch Illinois' Baseball on February 20th at 4 PM at the Tulane University baseball field. This will be the closest that the Illini will get to Houston, so join Dan! Young Illinois' Alumni Happy Hour at The Refinery Wednesday, Feb. 3! Young Illinois' Alumni (classes 2000-2015) are invited to a Happy Hour on Wednesday, February 3 at 6:00 PM at The Refinery Burgers & Whiskey (702 W. Dallas.) Invite your Illini Friends and meet other young alumni in the Houston area! Join Dr. Robert Morgan on Saturday, 12/26/15 at 6:30 PM for the 2nd Innaugural "DocFest", a reception/concert/jazz session celebrating the life and career of Dr. Robert Morgan, HSPVA Director of Jazz Studies, 1976-1999. Join us on Sat., Nov. 21st at 11 AM at Jake's Sports Bar for a TV football game watch vs. Minnesota! Join us on Saturday, Nov. 21st at 11 AM in Jake's Sports Bar for a TV football game watch vs. Minnesota! Join Illinois' alum for The Heritage Society's Wine Wednesday! On Wednesday, November 18, from 5 pm to 8 pm join Illinois' alum and The Heritage Society for Wine Wednesday! Join us at 2:30 PM on Sat., Oct. 24th at Beer Market Co for a TV football game watch vs. Wisconsin! Join us tonight, Sunday at 6:30 PM at Down the Street for Cubs vs. Mets in NLCS game 2! With your guests at 6:30 PM tonight, Sunday, Oct. 18th, come to Down The Street in the Heights (5746 Larkin St, Houston, TX) for game 2 of the Chicago Cubs vs. New York Mets in the National League Championship Series! 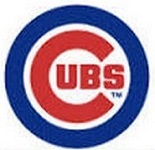 Join us at 5 PM on Mon., Oct. 12th at Down The Street for Chicago Cubs vs. St. Louis Cardinals! Join us at 5 PM on Mon., Oct. 12th at Down The Street in the Heights (5746 Larkin St, Houston, TX) for game 3 of Chicago Cubs vs. St. Louis Cardinals post-season baseball! Join us at 4:30 PM on Sat., Oct. 10th at Down The Street in the Heights (5746 Larkin St, Houston, TX) for Chicago Cubs vs. St. Louis Cardinals post-season baseball! Join us at 4:30 PM on Sat., Oct. 10th at Down The Street for Chicago Cubs vs. St. Louis Cardinals! Join us at 11 AM on Sat., Oct. 10th at Down The Street for a TV football game watch versus Iowa! Join us at 11 AM on Saturday, Oct. 10th at Down The Street in the Heights (5746 Larkin St, Houston, TX) for a TV football game watch of the Fighting Illini versus Iowa Hawkeys! Illini Cubs Fans next year is here! Join us Wednesday at Kenneally's for Chicago Cubs vs. Pirates! Join fellow Illini Wednesday, 10/7 at 7 pm, for the Chicago Cubs vs. Pittsburgh Pirates wildcard playoff at Kenneally's Irish Pub! This is a sudden death game to determine who advances to play the St. Louis Cardinals! We need your smiling face to staff the Pearland High School College Fair on 10/15! Please contact us if you are interested. Staffing a college fair is simple and fun, and you will help Illinois' standing tremendously through volunteering. We need your smiling face to staff the Fort Bend College Fair on 10/5! Please contact us if you are interested. Staffing a college fair is simple and fun, and you will help Illinois' standing tremendously through volunteering. A volunteer has been found for this fair, but future fairs are coming and are assigned on a first-come, first-served basis. So, please contact Mike Davis at president@houstonilliniclub.com if you are interested. 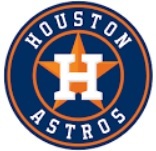 Join Big Ten Alumni Friday, 8/21 at Minute Maid Park for the Astros vs. Dodgers game! Join Big Ten Alumni on Friday, August 21st at Minute Maid Park for the Astros vs. Dodgers game! Though we have passed the August 10 deadline to purchase tickets some tickets may be available. Click below to learn more! On Thursday, August 13th at 6:30 PM we invite fellow Illini to a Meet and Greet at Uptown Park's Cafe Express at 1101 Uptown Park Blvd. This is your chance to casually meet fellow Illini and to help us identify great club activities. Young Illinois' Alumni Happy Hour at The Refinery on Thursday, 6/4! Young Illinois' Alumni (classes 2000-2015) are invited to a Happy Hour on Thursday, June 4th at 6:00 PM at The Refinery Burgers & Whiskey (702 W. Dallas.) Invite your Illini Friends and meet other young alumni in the Houston area! Join Illinois' alum on Saturday at HGO's production of “Sweeney Todd"! HGO still has tickets available for Saturday evening, May 2nd as the Houston Illini club sees Illinois' alum and world renowned School of Music Professor Nathan Gunn in the title role of "Sweeny Todd"! An Evening With an Opera Star! - SORRY, SOLD OUT! 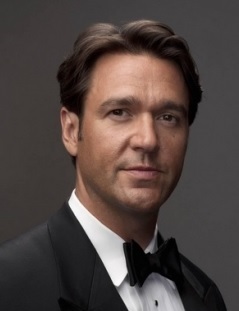 Enjoy a private evening of wonderful music, food and drink with world-renowned baritone and Illinois School of Music Professor, Nathan Gunn at the beautiful home of Illinois' Alumni Anna and Joel Catalano! - SORRY, SOLD OUT! Young Illinois' Alumni Happy Hour at The Refinery on Wednesday, 4/1! Young Illinois' Alumni (classes 2000-2015) are invited to a Happy Hour and Trivia on Wednesday, April 1st at 5:30 PM at The Refinery Burgers & Whiskey (702 W. Dallas.) Invite your Illini Friends and meet other young alumni in the Houston area! Chicago Bulls vs. Houston Rockets (w/ free pre-game Toyota Center access)! All Houston Illini Club members and guests are invited to join us on Wednesday, 2/4/15 as we watch the Chicago Bulls take on the Houston Rockets at the Toyota Center! Optional free pre-game front row access to watch both teams warm-up! 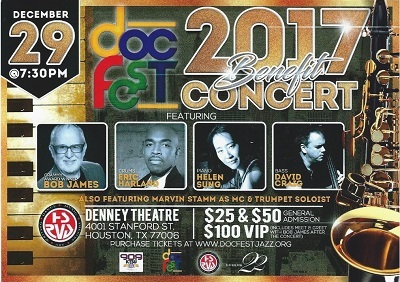 Join Dr. Robert Morgan on Saturday, 12/27 at 6 PM for for "DocFest", a reception/concert/jazz session celebrating the life and career of Dr. Bob Morgan, HSPVA Director of Jazz Studies, 1976-1999. 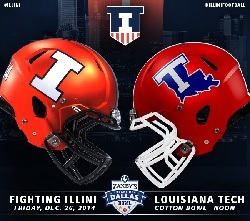 Join other Illini on 12/26 in Dallas to support the Illini in the "Heart of Dallas Bowl"
On Friday, 12/26 at Noon join other Illini in Dallas as the Illini will play Louisiana Tech in the Heart of Dallas Bowl! Dr. Pete returns to Houston for his one man hilarious show: "Power of the Dork Side!" Fellow Illini Dr. Pete Ludovice returns to Houston for his hilarious one man show, Feel the Power of the Dork Side, a science lecture meets stand-up comedy infused with enough adrenaline to leave you just shy of anaphylactic shock! Volunteer(s) identified already for this fair, please note that college fairs are assigned to Houston Illini members on a first-come, first-served basis. If questions contact Mike Davis at president@houstonilliniclub.com. Young Illinois' Alumni Happy Hour at The Refinery on 9/24! Young Illinois' Alumni (classes 2000-2014) are invited to another Happy Hour and Trivia on Wednesday, September 24th at 6 PM at The Refinery Burgers & Whiskey (702 W. Dallas.) Invite your Illini Friends and meet other young alumni in the Houston area! Join other Big 10 alum at the Ballpark! With your guests join other Big 10 alumni at the ballpark to watch the Astros vs. Rangers on Friday, August 29th! This event also provides excellent networking opportunities with other Big 10 clubs, so join us! Meet Illini Astronaut Michael Hopkins and tour Space Center Houston! Join other Houston Illini as we meet Illinois' Astronaut Michael Hopkins and tour Space Center Houston! Having recently returned from six months on the ISS, Mike will share with us his adventures and memories from space and answer your questions.